Today was my first fish CSA with Village Fishmonger and the catch of the day? Two lovely filet of golden tilefish, a fish I normally would have passed up in the market. Adapting a recipe from Bobby Flay, I prepared a lovely haricot verte and tomato vinaigrette while the fish steamed away on a bed of lemon slices. 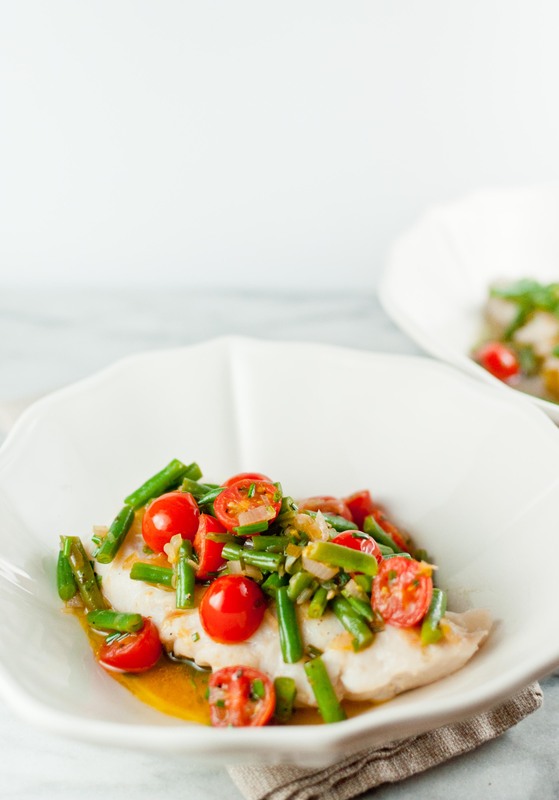 Light and summery, the flaky white meat of the fish paired perfectly with the sweet tomatoes and French green beans and the tangy vinaigrette. And the best part? all prepared in 30 minutes just like the recipe promised!